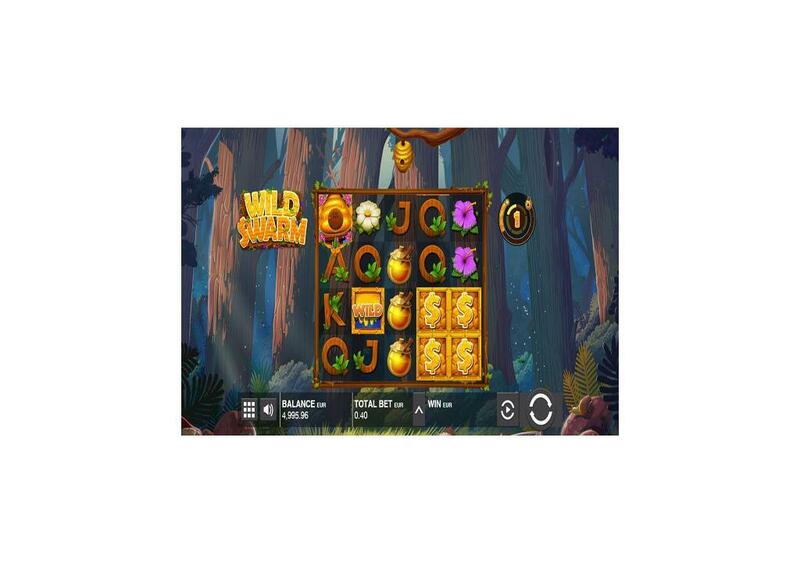 Wild Swarm comes with a multitude of features including free spins, Swarm Mode, the Chest Bonus and much more. You have the chance to try out the slot machine for fun right here, so you can see all that it has to offer. 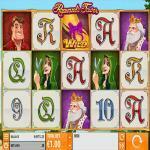 Wild Swarm is a Push Gaming slot machine that has five reels and four rows of symbols. These reels and rows host a total of 20 lines. 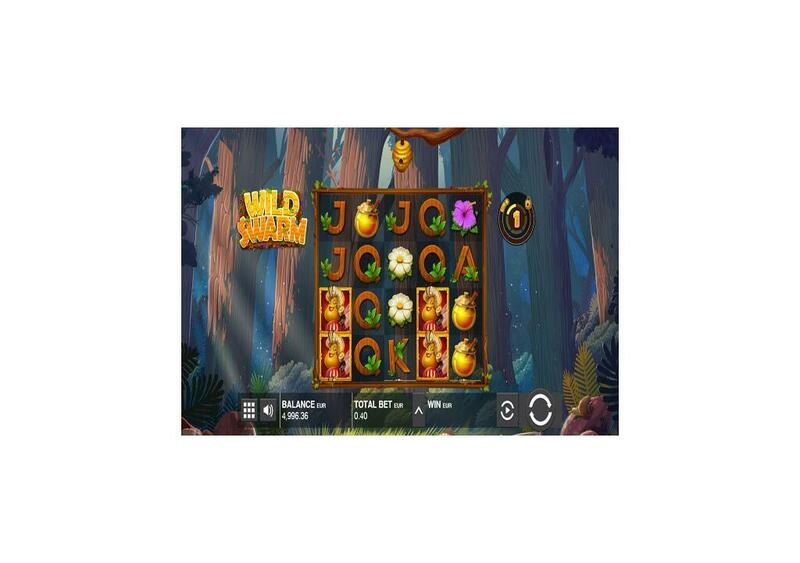 Wild Swarm is a low variance slot machine with a decent RTP. 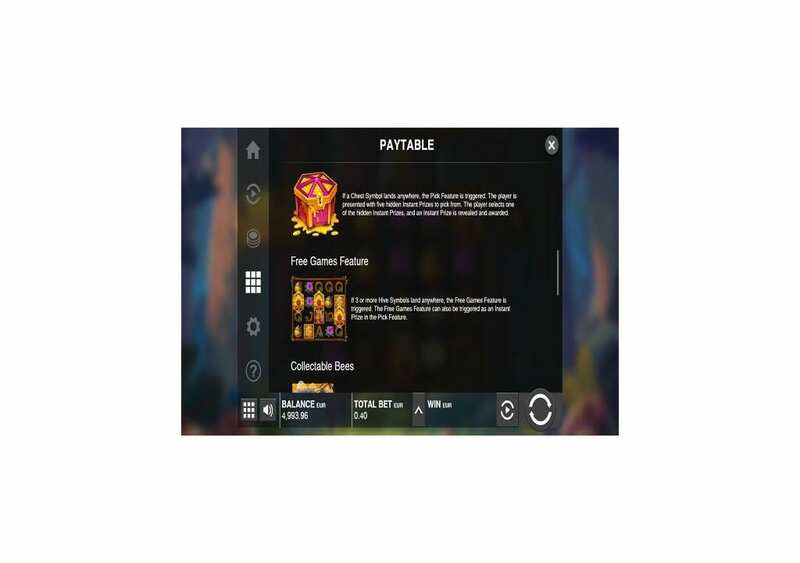 It also comes packing plenty of bonuses and features that you can trigger during the gameplay. 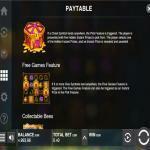 These features include Free Spins, the Swarm Mode, a Wild icon and much more. Wild Swarm is playable across different platforms and devices. Therefore, you can enjoy Wild Swarm through your mobile, tablet or home PC. Wild Swarm is also available here for free, which will give you an idea of what to expect when you spin its reels. 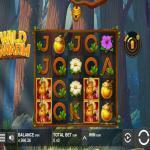 Wild Swarm by Push Gaming is a five reel slot machine with 20 lines and a 5×4 grid. It is all about the bees, and it comes packing plenty of features and bonuses for you. It has a high RTP, state of the art visuals and overall exciting gameplay. It is playable on multiple devices with a wide betting range, plus you can spin it here for free. Wild Swarm is all about the bees. The bees are the single most important species on this earth. Many scientists proved that if the bees were ever to go extinct, the human race would soon follow. Therefore, Push Gaming decided to create a game that pays tribute to these beautiful creatures by giving them their slot machine. In Wild Swarm, you will join the bees in the beehive as you collect honey and features while enjoying the immersive gameplay. Wild Swarm is all about the bees and the honey they make. Therefore you will see that the reels take place at the forest in front of a tree that has a dangling beehive. The figures that are going to land on the reels include the hive, the honey $ sign, the queen bee, different sticky bees, a jar full of honey, the wild honey symbol, flowers and more. 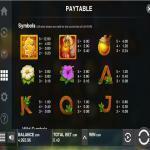 These symbols will land for you on the four rows of symbols and the five reels and twenty lines that the slot offers. The control panel is underneath the Reels, and it is where you can control the gameplay. 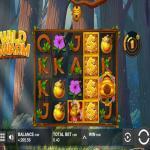 Wild Swarm has a high RTP of 97.03%, despite being a low variance slot machine by Push Gaming. Wild Swarm has 20 lines that can result in great rewards. You will need to get a minimum of three matching symbols on any of the winning lines on adjacent reels. These symbols have to start from the leftmost reel. 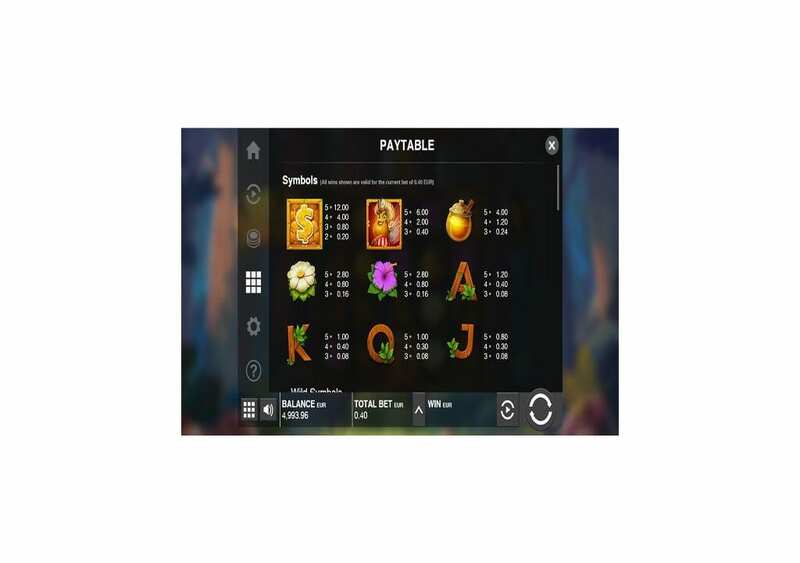 You can view the different line prizes that the symbols can give, in addition to the features and bonuses of the slot at the paytable of the slot. You can access the paytable of the slot by clicking on the “I” button underneath the Multiple Squares button underneath the reels on the left side. The most significant line prize that you can claim at Wild Swarm is 3000 credits. You can earn that amount when you get 5x of the honey $ sign on all five reels on the same stake line after placing the maximum bet. 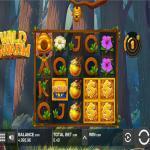 Wild Swarm is a highly rewarding video slot machine that hosts multiple bonuses and features for you. 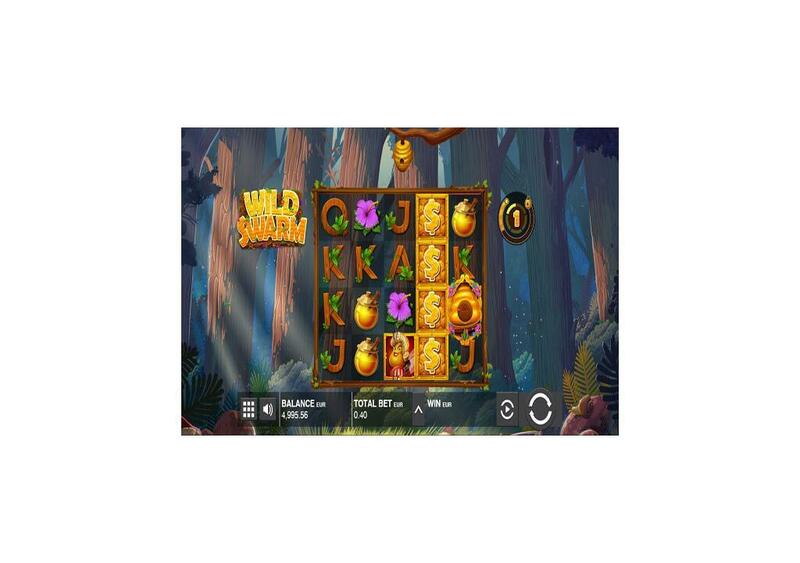 Wild Swarm has a wild icon, the Swarm Mode, Free Spins and more. 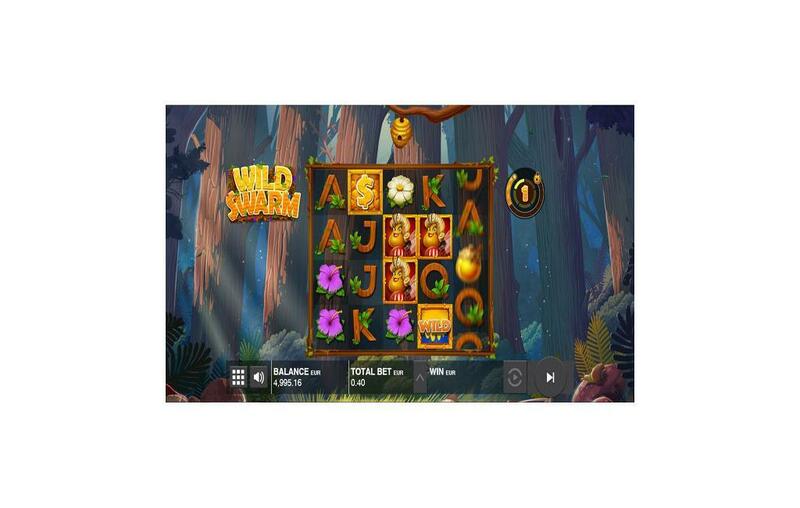 It does not serve as a surprise to anyone since Wild Swarm is Push Gaming slot, which has a reputation for packing its slots with plenty of features and unique symbols. The Honey Dollar Sign is the wild symbol of the slot machine, which is fitting since the game is all about the bees and the honey. It is going to substitute for all other symbols on the reels of the slot machine. It will not be able to stand in for the scatter icon or the Chest symbol. The Honey-covered bee is the other wild of the symbol, but this one is going to land on the reel during the free games round and the Swarm feature only. All sticky wilds will remain in their positions until the round is over. Like the regular wild, it will not stand in for the scatter or the chest bonus symbols. Wild Swarm has a scatter icon, and it is the beehive. If you manage to get three beehive symbols anywhere on the reels, you will enter the Free Games feature. There are sticky wilds that become active during the free spins. If you get the Treasure Chest symbol anywhere on the reels, you will trigger the Pick feature. You are going to pick one out of five treasure mystery chests. 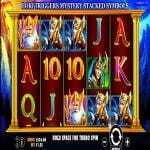 You can trigger the free spins, or claim a cash prize or more. During the base game, if you get a bee icon, it will fly to the hive, and you will collect that bee, and a Wild Honey symbol will take its place on the reels. When you collect five bees in the hive, and a bee lands anywhere on the reels, there is a chance that the beehive will explore. If it explodes, it is going to trigger the Swarm feature. At the beginning of the swarm feature, a swarm of sticky wild bees is going to swarm the reels, and you will claim ten free spins as well.